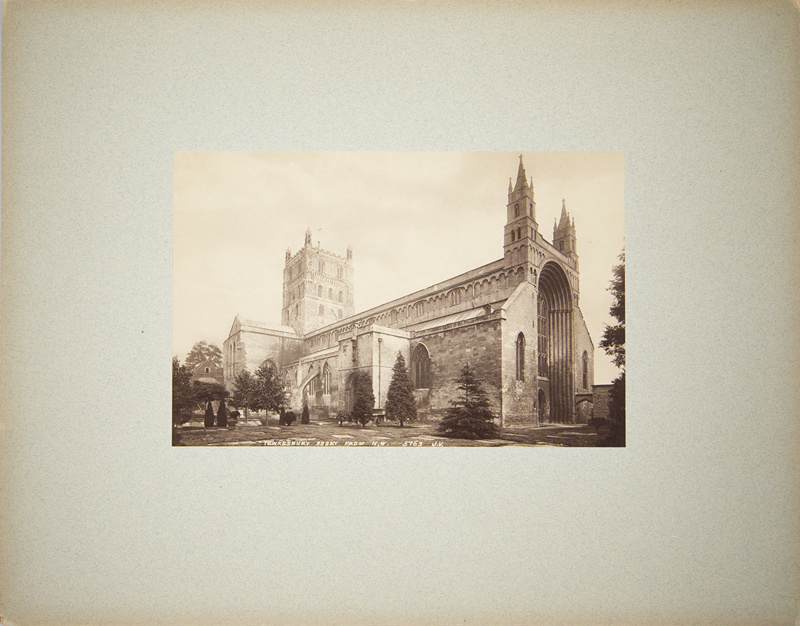 About this objectView of Tewkesbury Abbey in Glouchestershire, England. A site of worship since the 7th century, construction of the abbey was begun in the 12th century. The abbey’s architecture is notable for its large crossing tower. 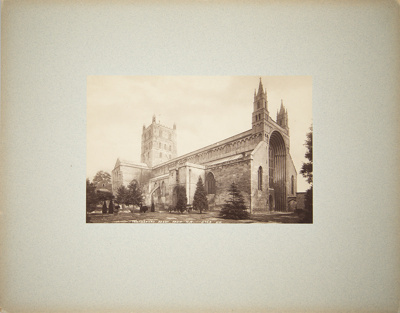 Subject and Association DescriptionJames Valentine was a 19th century Scottish photographer. Valentine & Sons Ltd. was founded in 1851 and had previously produced engravings. Valentine added portrait photography and opened one of the largest photographic glasshouses in Britain. In the 1860s, he decided to follow George Washington Wilson’s successful business model and began selling topographical views. This led to the company becoming internationally recognized for the postcards they produced. Subject and Association KeywordsValentine & Sons Ltd.